Saraswatī embodies the essence of the creative Mother, balancing loving softness with a graceful strength. Her powerful presence inspires and empowers others to step into their full potential, through vibrant authenticity and the awakening to the expansive joy of the heart. Her work brings together the teachings of yoga, non-dualism and earth wisdom, infused with a deep reverence for life. Saraswatī wholeheartedly offers herself through the path of devotion; offering kirtan, ceremonies, workshops, retreats and trainings with yoga, breath work, sound healing, singing circles, dance, satsang & sharing circles. She loves to be in the forest, contemplating Oneness within nature while dreaming and designing landscapes of harmonious interaction, offering visions of an alternative global community for the future generations. Saraswatī is one of 8 co-founding members of the Kula Collective, an organization weaving together diverse holistic experiences and educational offerings. Watch the Kula Collective video series episode "Meet Hayley Saraswati"
Ricardo was Born in Cancun and raised in Mexico City. Since an early age, he started his professional life in sales and service related jobs. Since then, service has become his passion. He has managed and led teams in hospitality, coffee and tourism industries around the world. In his quest to become a better person and leader, Ricardo has dedicated the last 7 years of his life to learn, study and experiment different leadership roles, self development techniques and methods. This has led to a process of self-observation that consequently results in a deep, spiritual search to discover the different ways in which each individual connects with their Higher self. Although Ricardo has practiced yoga for several years, it was not until recently, after a deep experience practicing Karma yoga in Sivananda ashram, that life led him to become a Yoga instructor through Kula Collective. Ricardo has found a deeper sense of living a life practicing the philosophy of yoga and the importance of Karma Yoga and service. Leading The Yoga Forest team is a dream come true for Ricardo. The Yoga Forest is the perfect playground to put into practice his passion for taking care of people and his experience throughout the years at service. His mission is to create and hold space for the transformation of all beings who decide to come to the Yoga Forest looking for peace and love. Michele is a published journalist, Communications graduate, and internationally certified dance and yoga teacher. After 5 of years of managing various marketing agencies, she’s shifted her focus from the corporate multimedia industry towards heartfelt holistic projects and intentional living. Naturally a dreamer, she is guided by her vision to create a sacred biosphere for yoga. Offering experiences that nurture connection and beckon souls to answer the call of dharma. As a devoted student of yoga and teacher, she is dedicated to weaving prayer, timeless world philosophies, artistic movement, swādhyāya, mantra, and joyful expression into her offerings and daily sadhana. Raised as a child on the teachings of Buddhism, and classically trained as a contemporary ballet dancer, she is in love with the union of Devotion, Presence and Movement. Amy is a lover of life, nature and animals. She values connection with others, time spent outdoors, being challenged mentally and physically, the art of yoga and eternal practice of mindfulness. After leaving the software/tech industry behind, she carved out a non "9-5" lifestyle by pouring herself into what she is passionate about. Considering herself a "jack of all trades", Amy is continuously working on numerous projects that fill her soul. Along with being an internationally certified Yoga teacher, she does branding, design, website development and social media for companies around the globe. Amy is the ultimate adventure seeker, constantly searching for ways to spend her time outdoors in Mother Nature. She recently returned from a 220-mile long distance backpacking trip through the Sierra Nevada mountain range on the John Muir Trail. "No man ever steps in the same river twice, for it's not the same river and he's not the same man". Suhan is a native Guatemalan who worked ten years in country brand marketing and fell in love with her Mayan Culture as with the Wellness offered in the magical mountains of Lake Atitlan. 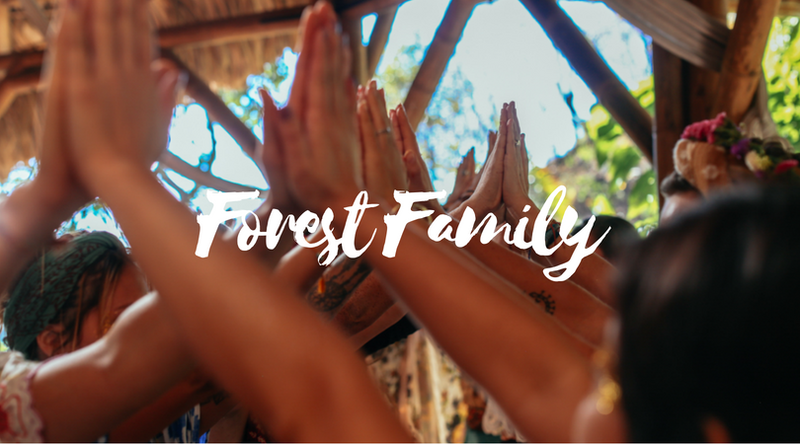 She now shares there the mission to spread wellbeing for others and forms part of the Yoga Forest, the Forest Family & common projects for the local communities. Nea was first introduced to yoga in 2007 in Goa, India. Formerly an international travel consultant she has had the opportunity to experience varies styles of yoga in places such as Australia, Mexico, Guatemala, Hawaii, Indonesia, Canada, Sri Lanka, Nepal, Chile and Brazil. Although enjoying the physical aspect of yoga, it wasn't until 2015 that she really dedicated herself to a regular yoga practice and soon realizing yoga was more than just a workout. Connecting the breath with movement and practicing mindfulness opened a whole new level of consciousness. Nea is a certified yoga instructor RYT500 and Reiki Master from Australia. She teaches Hatha flow, yin, restorative yoga, Qi Gong and Reiki Level 1- Mastery. Nea loves to travel and share her passion and knowledge of yoga and Reiki with her students. Her practice cultivates inner listening, heightened awareness, compassion & acceptance for where you are in the present moment. Nea has designed her classes with a series of slow flowing movement to develop calmness, peace and an overall relaxation of the mind and muscles. She focuses on correct posture, breath and strengthening the bones & muscles to increase energy and physical well being. Hi, you can call me Jaya. I am a life-long student of Wisdom and the Sacred Arts with a multidisciplinary approach to self-development. A practitioner and teacher of Meditation, Yoga and practical Eastern Philosophy I have taught over 25 month long Teacher Trainings at beginner and advanced levels. Since early childhood I have familiarized myself with many shamanic tendencies which have evolved to the bulk of my work with indigenous plant medicines, entheogens and ceremonial traditions from my studies in Brazil and Peru. With this synthesis I act as a bridge, or an instrument where I am continuing to learn and refine my role as a medium. The speciality here is with cathartic & Emotional Release therapies aiding in opening and healing of the body/mind complex which may garner new perspectives and realizations. Often I see people who are being troubled by anxiety, stress, trauma, PTSD and addictions. I can also help with negative spiritual openings, Kundalini awakening, spiritual emergency and crisis. In 2012 I founded Sound Ceremony to share my journey as a Sound Therapist. Since then I have seen hundreds of people. lead countless Sound Healing Ceremonies and hosted sell-out courses around the world which has given me a unique percpective into the relational and philosophical way deep listening and sound understanding can help restore us to our essential nature. Deeply creative at heart and a multi-instrumentalist, I love to share the joy of Sound and Music through Prayerformance, Sacred Chant, Mantra & Medicine Music and the resulting devotion it offers to one courageous enough to walk on the path of the heart. The last thing I want to share with you are my words. I did not ask to be a poet. It is something that chose me. I have several published books, 3 of which you can find in the gift store, with many more on the way as endlessly I am writing and finding myself lost in intricate patterns of beautiful words that lead me to such a wonderful astonishment at the simplest things in life and the joy of being alive. Patricia first came in touch with Yoga when she moved from Spain to the mountains of Northern California pursuing her passion for nature and outdoor sports. After 5 years of steady practice, she decided to travel to the birthplace of yoga to dip deeper into this ancient science. She attended yoga courses in Rishikesh as well as The International Yoga Festival, and got her 200 hour Certification from a yogi in Kerala. Since then, she has traveled and lived in many different continents, always learning and practicing with other teachers the joy of oneness and spreading the magic of yoga. She teaches Yoga as a way of introspection to connect with the divine soul and find bliss within, and also as a way to honour the body and the soul. Patricia has found that keeping a slow flow throughout the practice, helps stay more aware of each movement, and increases the connection of breath, body and mind. Her vinyasa flows are active and creative but always gentle with the body, holding poses both active and resting to increase its benefits, and paying close attention to heart centre and energetic channels. Her classes are filled with philosophy and intention, and she commonly uses other yogic techniques such asmantras, bandhas andmudras. She is also studying other holistic healing practices as coaching, nutrition and therapeutic massage. Michael Jewell utilizes his humble, attentive presence to hold sacred space for people through body and energy work as well as ceremony and ritual. He merges his work in Shamanic Medicine with over 12 years serving as a licensed Massage Therapist, training in Yoga Calm, Klemmer Facilitator, Yoga Behind Bars as well as certifications in Cupping, Laughter Yoga, and Reiki. Michael carries this healing work into his art as a glass blower where he is passionate about acknowledging life by creating memorial pieces with the ashes of people and animals who have transitioned from the physical realm. 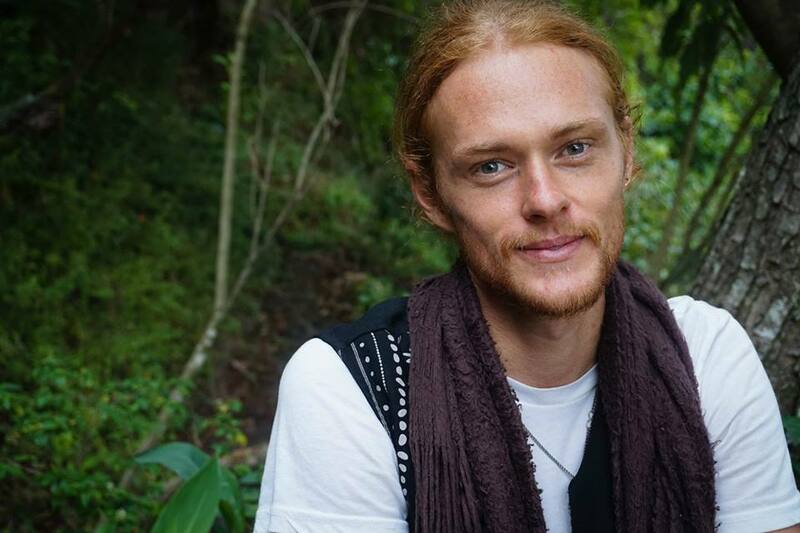 As an RYT-500 and Cacao Practitioner, Michael hopes to support people in deeply knowing their inherent worthiness and infinite capacity to love and be loved. Michelle Kucera-Jewell, though known for her deep belly laughter, brings together nearly 25 years of experience working within for-profit and non-profit organizations, from guiding wilderness trips to facilitating corporate team building. She has recently transitioned out of her role working in leadership development for Apple to commit fully to holding sacred space for her community. Now that she has stepped off the corporate ladder and into #vanlife, her desire as an RYT-500 and Cacao Practitioner is to help people know that they are worthy of love, not because of their doing; simply because of their being. Michelle utilities skills developed through her Masters Degree in Cultural Studies along with her certifications and training as an Ayurvedic Yoga Specialist through the Himalayan Institute, Laughter Yoga Leader, Yoga Behind Bars, and Reiki Practitioner. She is humbled by the opportunity to learn from and co-create healing, transformational space in every sacred session.